What’s the Best Mouse Poison? 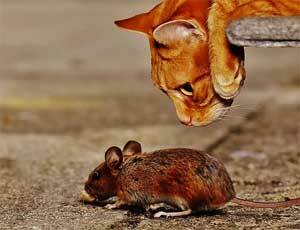 In my opinion, the best way to get rid of mice in house walls and ceilings is to prevent them from entering in the first place. That said, if you already can hear them crawling around, I have some ideas on how to get them to leave AND stop them from returning. I developed an easy-to-follow repellent system that breaks down into 3 simple steps. You need to buy a few supplies, but these natural repellents and gadgets are very convenient because they do the “dirty work” for you. In fact, you may only need to use one or two of these strategies to solve your mouse problem. However, I included a third step as a backup, just in case. (How to get rid of mice in walls without poison.) If you have a rodent problem in your home but don’t want to use traps or poison, start by using a natural odor repellent. Essential oil repellents typically come in the form of a spray or pouch. 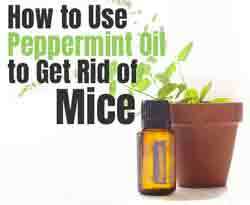 Peppermint oil is widely know for deterring mice. Plus, combining this essential oil with cinnamon, cedar, lemongrass and rosemary make it stronger and much more effective (naturally). See the odorants I recommend. 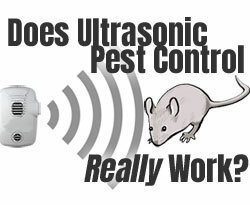 Ultrasonic pest control units advertise that they can help repel mice, rats and other pests. However, these devices almost seem too good to be true. Therefore, I went ahead and tried them for myself. Plus, I incorporated 7 key tactics into the way I used these electronic gadgets to maximize their effectiveness. Note: I think these tactics determined my success with these repellers when they did not work well for other people. Get the 7 key tactics. If the two steps above don’t solve your problem, here’s a backup plan use can use. Although it does involve killing the mice with baits, it’s easier than using traps. 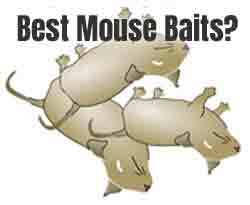 Plus, baits can give you a less-costly alternative to calling in the professional exterminators. 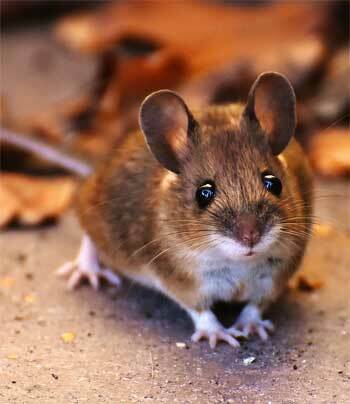 And, prevent rodents nesting in the walls of my house chewing on wires, etc.. Read more. How Do Exterminators Get Rid of Mice in Walls? First, professional exterminators start by sealing off potential entry points. Typically, they suggest changes for the interior and exterior environments to minimize rodent attraction. Lastly, they will use sort sort of traps or baits to get rid of mice in walls, ceilings, attics, etc..
VictorPest has a tip for how to get rid of mice living and nesting in the walls of your home already. A few inches from the floor, drill a coin-sized hole in your drywall. Then, place a cardboard box (with matching hole) against the wall with a food-scented rat trap inside. Cover the top of the box with clear plastic wrap or cellophane so that you can see inside yet keep the box securely closed. Don’t wait until you have a huge infestation, because you want to avoid smells and damage in and between the wall cavities due to nesting. Plus, you don’t want to be asking how to get rid of the smell of a dead mouse in your wall. If you already have a mouse nest in the walls of your home, attempt to drive off the rodents with a harmless ultrasonic + electromagnetic repellent. 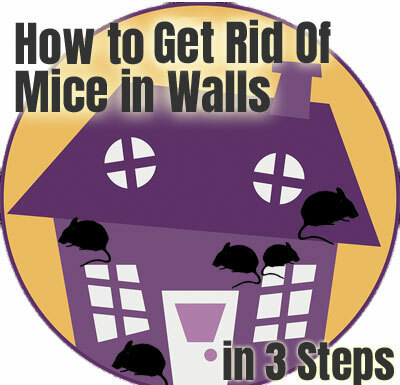 This is the best way that I know of for how to get rid of mice in walls naturally and humanely. Make them WANT to leave! Then, take preventative measures using the peppermint essential oil and keep them from returning. Then, you won’t have to worry about getting rid of a mouse nest – or the odor! These natural DIY deterrents and repellents can work quickly and provide a permanent fix as long as you continue to use them. Use them whether you want to get rid of mice in walls, behind or in a stove, under floorboards, in an attic or basement, under the fridge or sink, behind a cupboard, in the garage or shed, in a vent or in a camper or mobile home. More remote locations can often prove to be more of a challenge. I’d double down by using more ultrasonic units and a super-strong peppermint scent diffuser running 24-7. The faster you can repel your rodents, the less problems you will have. Plus, it becomes significantly easier to keep them from coming back! Plus, getting rid of mice the natural way has another advantage. These low cost, DIY natural remedies won’t harm your pets. Cats and dogs are not affected by ultrasonic sound waves, and you don’t have to worry about them accidentally eating rat poison. And no disposing of traps and dead mice. 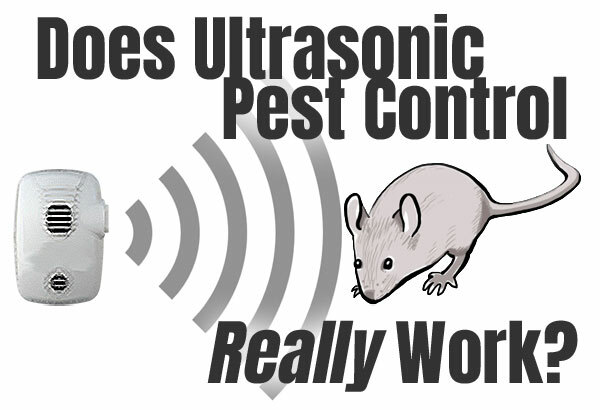 Ultrasonic Pest Control Units – Do They Work?? 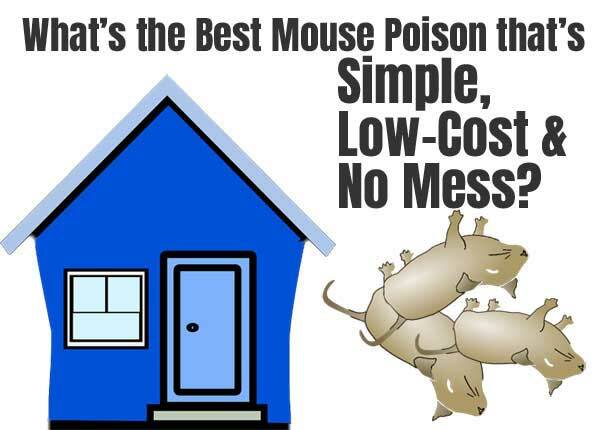 What’s the Best Mouse Poison Solution? What's the Best Mouse Poison?